When I first started this blog, my family's income was tremendously low, and I did as much as I possibly could to lower our expenses, but at some point it just wasn't enough. There's only so far you can stretch a dollar; you eventually may find that you need to raise your income. And that's what we did, and it made a huge difference in our family's quality of life. Here's my friend Adi to give you some great in depth suggestions on how to increase your income and ease up the burden on your life financially. As anyone who has been in debt will tell you, living within your means gives you so much peace of mind. But there are two sides to living within your means: there’s tightening the “living” part, and there’s expanding the “means” part. My name is Adi, and I’m head of This Irresistible, a company that helps budding businesses with product, marketing, and business strategy. I’m honored and excited to contribute to Penny's incredible resource of a blog. Today I want to talk about ways you can expand your means -- ways to make that “income” total higher, so that you can have more flexibility with your “expenses” total. Even if you don’t change your lifestyle one iota, simply knowing you have some extra cash coming in every month will do wonders for your peace mind. 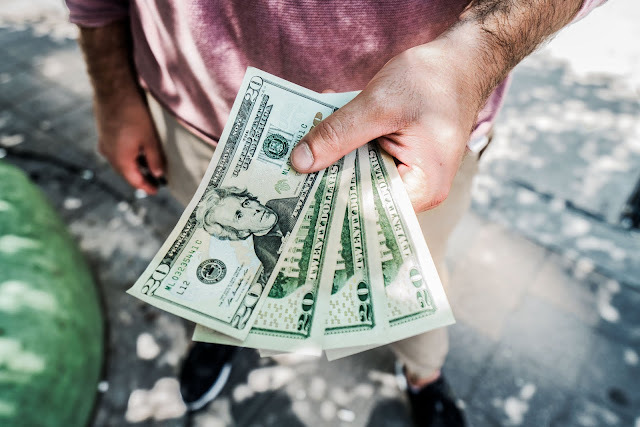 There are 2 ways to get more money (excluding illegal activity such as casino robbing and money laundering, which I do not recommend): increase the money you make from your current activities, or start engaging in new money-making activities. 3. Optimizing the income of a business you already own (if you work for yourself). You might think that starting a side business is a daunting task, and give up on the idea before you’ve even tried. But the truth is, a side hustle can be as simple as dog-walking, teaching something you’re particularly skilled at, or buying stocks of ice cream for cheap and selling them at the beach in the summer. Plus, it’s a lot of fun! Here are some things I’ve done for fun and money on the side: babysit kids in the neighborhood, tutor algebra, sell handmade brooches, sell homemade vegan cheese at a fair, design presentation decks for big companies who have zero design know-how, run ads on my for-fun food blog, give workshops and lectures around stuff I’ve learned in my career. Here are some things I’ve paid for in the past: professional development courses (both on- and offline), dance lessons, calculus tutoring, gym memberships, cleaning help, maternity photography, and even errands moving documents from my office to my home while I was away on vacation. My point is, there’s this huge economy of side hustles happening all around you. Just because you have a day job, or you are “just a [insert your professional title here],” doesn’t mean you can’t participate. Once you get over your initial objections for why you can’t do it, this big world of opportunity opens up. The truly beautiful thing is that there’s no “right way” to do it, no one-size-fits-all. The right side business is the one that integrates as seamlessly as possible into your life, that plays into your abilities, that takes up as much time as you are willing to give it, and that you hopefully enjoy doing. 1. Output directly matches input. You get paid for work you do, every time you do it. What this means is that you only get paid when you do work. The advantage of this type of side incomes is that it’s extremely easy to set up and get started. The disadvantage is that because your available time is capped at 24 hours per day, that by extension puts a cap on how much you can bring in. Some examples include private tutoring, babysitting, writing and design projects, etc. 2. Output significantly outperforms input. In these type of side businesses, you create assets that over time “work for themselves.” The obvious advantage is that your income is not capped by the time you put in every time. But these kind of businesses often take a very long time to get off the ground, and although there are some neat shortcuts you can take, in general you can expect significant returns only after a few months to years. Because it’s a game that needs to be played longer to win, many people lose motivation, direction, and/or interest along the way and quit. This can work in your favor if you’re particularly strong-willed, motivated, and willing to play the long game. Some examples include digital information products, ebooks, and platforms/products based on user-generated assets. These are businesses that try to take the best of both worlds, and they are my personal favorite because they make so much sense. The basic idea is to develop an asset-mindset: start doing things that yield returns directly to how much time you’re investing, but make sure that with nearly everything you’re doing, you are also generating assets for the future. For example, let’s say you start a business helping elderly people find their way around Microsoft Office, Skype, and Google Drive. You do this in one-on-one sessions, probably in their home. And and so on and so forth. It takes a bit more time to turn your work into an asset in the beginning, but it saves you TONS of time down the line, and sets you up for disproportionate success later on. Also, be very wary of "side hustles" that are really just multilevel marketing schemes. You want to give yourself at least 3 months of “inception time.” Seeing an employee as an incredibly valuable asset doesn’t happen overnight. You’re going to use this time to figure out what you want to highlight, and then track your progress diligently. Try to time it well in relation to other things, too. What’s the company cashflow looking like? Are you participating in any particular projects that you could leverage? Is this a good time for you personally to be “under the microscope” of an assessment? An employee salary is an investment. A good investment is one that will yield positive returns. So try to get into your employer’s shoes and understand what makes you a good investment. Do you have certain skills that make you uniquely suited for your role? Do you do things exceptionally fast, or exceptionally future-proof, or exceptionally exceptional? Don’t just guess. Go talk to them, and make it about them. Kick off your mission to get a raise by initiating a conversation about their goals, what you can do in your role to help them reach those goals, what would success look like. Many people are afraid to ask how they can improve, but don’t skip it! You might be afraid to hear the answer, but the answer is there whether you’re blissfully unaware of it or not -- isn’t it better to find out now? If you don’t know these things, you have virtually zero chance of knocking your boss’ socks off. Create your 90 day plan. Remember that at the end of your mission you will need to go and ask for that raise. Think about the kind of achievements you’d want to highlight during that conversation to help your boss see how valuable you are to them -- those should be your goals and milestones for these 90 days. And because you’ve done your homework and actually asked your employer what they want, this will be much easier for you than someone who’s trying to just guess at it. Keep your boss reasonably up-to-date on your milestones and achievements during these 90 days. Every manager has a different preference for how they like to be kept up to date, so make sure you match their style. But even if they’re the kind who don’t want to be bothered with anything, you will need to find a way to keep your value fresh in their mind. If the update is an achievement they really care about, that should be easy. If it’s a milder success, you can sometimes get around it by prefacing the update with something like “update -- no need to reply,” so that weight of yet another thing to take care of comes off their shoulders. A few weeks before your 90 days are coming to a close, ask your boss for a meeting to discuss your future in the company. It has to be at least implied that you are expecting to talk about your conditions/compensation, and I find that wording it this way is pretty well understood without sounding too aggressive. When you go to this meeting, how you go really matters. Your mindset needs to be in the right place. If you naturally shy away from confrontational conversations, you might be dreading this kind of meeting. The good news is you’ve put some mechanisms in place that totally work in your favor. You’ve had an important conversation with your boss 3 months ago (so you know what their priorities are, and they know you care). You’ve made sure that your work in these 3 months align with those priorities, and you’ve kept your boss apprised of those developments (so they are already aware of the value you bring). And you’ve achieved some remarkable results that your boss truly cares about (so you have nothing to feel bad about -- you really ARE an asset to your boss). Here’s the final piece that will make this negotiation easier for you: remember that it's not about “beating” the other side; a successful negotiation is one where both sides feel like winners. It’s not an arm-wrestling match, it’s a dance. So smile! Go in knowing you’re one of the good guys, you’re there to help THEM succeed, and you’re asking for whatever you’re asking to make it easier for you to keep doing that exceptionally well. So many business owners I’ve spoken to are nothing short of mystified by their own business. Seriously, more than you’d think, people just don’t understand the mechanics of what makes their business more or less successful. I won’t deny that there are countless complexities (most of them occurring inside our heads as business owners), but it helps to also understand that a big chunk of it is plain old math. 2) If any of them is zero, your revenue is also zero. Let’s work with a concrete example as we explore each of those three variables. Let’s say you are a fitness trainer who gives private boxing lessons to women. Your PRICE is the most straightforward: how much money do you get from a customer every time you give a private lesson? Your REACH is how many potential customers even know about you and your boxing lessons. Your CONVERSION RATE is the percentage of potential customers who end up becoming paying clients. (You can group these elements into branding, marketing, and sales, although there is some overlap). So in our example, let's say your going rate for a private boxing lesson is $30. Let's say you write regular Facebook posts in relevant groups, and manage to get in front of 1000 people a week -- that's your reach. And let's say that every week, 10 people (who saw you on Facebook) contact you about your lessons, and two out of those 10 end up buying a lesson from you. That puts your overall conversion rate at 0.2%, meaning 0.2% of the people who see your posts end up buying a lesson. Or about $240 a month. Neat, but I think you can do better. What happens if you charge a bit more? Let's say you increase your prices to $50 a lesson. Now what happens if you manage to get in front of more relevant people to begin with? If you improve your conversion rate, your revenue improves too. That's $1,600 a month! Much better than $240. Of course, this example is simplistic. For one thing, these three variables don't change independently of each other. For example, generally speaking, the higher your reach and price, the lower your conversion rate is going to be. For another, every business has an expenses equation which is also affected by these three elements. For example, increasing your conversion rate means you get more clients. In general that's great, but in the fitness trainer example it costs you with more hours you need to work, and it could have other costs too depending on the structure of your business. But even considering these disclaimers, most businesses have some low hanging fruit they can improve in one (or more) of these three parts of the revenue equation. It is up to you to take a hard look at what you're doing and understand what parts can be improved to dramatically increase your take-home amount. To do this, it can be useful to enlist the help of someone creative who can think outside the box, and who feels comfortable challenging what you're currently doing. This will expose areas where you might be getting in your own way of getting more out of your business. That sounds like a solid argument, except that we both knew her current prices were slightly below average, even though she was one of the best trainers in the city (and the only female trainer offering the specific lessons that she was). Through the conversation, where I was being the most persistent and annoying I could, we figured out that her REAL issue was getting in front of enough people who are interested in higher-quality training sessions. But it pays off BIG TIME. Because willingness to pay more is not the only quality of the kind of clients she now makes an effort to get. That kind of client also takes those workouts seriously; views the workouts as a worthwhile investment in themselves; and who is therefore far more likely to return for more lessons in the future. I could go on and on. But my point here isn't why YOU should raise your prices and look for a different brand of client, but why it was right for this particular business owner in that particular situation. And she only saw it after she was challenged about the way she was currently running her business. It's imperative that you do whatever you can to get out of your own way, to make sure you're not sticking to false assumptions just because it “protects” you from having to do the hard (but rewarding) stuff. Looking at it as an equation helps us break it down, demystify it, give it concrete names we can put into concrete categories. But you need to have the courage and determination to look at your business with your eyes wide open and understand what you must do if you want to take it to the next level. Starting a business, improving your business, or getting a raise are all great ways to increase your income, and by extension your peace of mind and satisfaction. But before you do any of it, you have to make sure your mind is in the right place -- you have to believe it’s possible for someone just like you to bring in more money. Maybe significantly more. If you find yourself thinking “I’m not the kind of person who can start a successful side business,” or “why would my boss ever give someone like me a raise, there are much more qualified people in line before me” or “I don’t really think my business can bring in significantly more than it does today” -- just STOP. Work on that mindset. You don’t have to be cocky about it, but you should operate with at least about 80% confidence, otherwise these self-limiting beliefs are going to completely sabotage your efforts. For more lessons about business, product, and marketing, visit This Irresistible. Do you try more to be frugal or more to increase your income? What methods do you try to do to increase your income? Any thoughts on Adi's tips, additions, things you disagree with, etc? BEST POST EVER. ;) Kidding. I love all your posts but this is a timely one for me personally!! Thanks so much! !